A Western mystic with an Eastern soul. For 37 years, Muni lived as a monk in a Hindu monastery on the island of Kauai, Hawaii. The primary focus of his monastic study was an ancient and traditional yoga called "Raja Yoga." During his monastery years, Muni (also known as Natarajnathaswami) served as a primary teacher of younger monks. Additionally, he held yoga workshops for spiritual seekers visiting the monastery, and participated as a teacher on the monastery's travel/study programs. These travel/study programs, called Innersearches, merged pilgrimage with yoga during travels to India and other global destinations. Prior to entering the monastery, Muni was a professional jazz musician who played drums for Quincy Jones, the Glen Miller Band, and Don Ho in Hawaii. Inclined to music, Muni became the monastery's primary chant and bhajan leader. He studied the Indian musical system of ragam and talam and received instruction in tabla and classical North Indian singing from the highly esteemed Swami Nada Brahmananda of India. Muni had the distinct privilege of traveling the world with his guru, Satgurudeva Sivaya Subramuniyaswami, an enlightened mystic who received the Year 2000 U Thant Peace Award from Sri Chimnoy of the United Nations. Muni also worked as an artist, designer, writer and editor of Hinduism Today magazine. His writing focused on yoga and meditation. 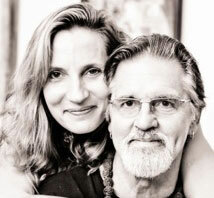 Since departing the monastery in 2007, Muni married Mary Beth Natarajan and has been writing books about yoga. He offers classes, workshops and retreats and also shares his inner discoveries and inspirations through world music and art. 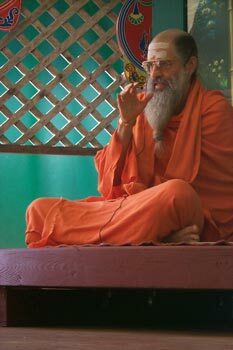 His book, A Monk's Tale, chronicles his adventures living as a Hindu monk in San Francisco, Hawaii and India. Muni's book, Into the I of All, serves as a basis for his weekend workshops and classes. As a teacher, Muni's intention is to do as his guru did – help students find inner peace and contentment amidst everyday challenges while seeking Self Realization in an ultimate practice of yoga. Photos from Muni's monastery years. Photos of Muni's yoga and meditation space on Daniel Island ... a clean, light, peaceful space surrounded by live oaks and lush vegetation.